KB Computer repairs provides a HP computer repairs for all hewlett packard Models : HP EliteBook laptop, HP Pavilion Center TV, HP Pavilion Series, HP ProBook laptop, HP TouchSmart Computer. Here at KB Computer Repairs is the leader on HP laptop repair, we diagnose, repair and work with all HP brands of desktop and laptop, including all makes and models. once your hp laptop or computer fixed they will give you the cause of the problems so you can make sure that the problems will not happen again. Hard Drive (HDD) replacement on HP computer on windows 10. HP laptop memory (RAM) upgrade. Hewlett-Packard Company or HP (styled as 【hp】) is an American multinational information technology corporation headquartered in Palo Alto, California, United States. It provides hardware, software and services to consumers, small- and medium-sized businesses and large enterprises, including customers in the government, health and education sectors. The company was founded in a one-car garage in Palo Alto by William “Bill” Redington Hewlett and David “Dave” Packard starting with a line of electronic test equipment. HP was the world’s leading PC manufacturer from 2007 to Q2 2013, after which Lenovo remained ranked ahead of HP. It specialises in developing and manufacturing computing, data storage, and networking hardware, designing software and delivering services. Major product lines include personal computing devices, enterprise and industry standard servers, related storage devices, networking products, software and a diverse range of printers and other imaging products. HP markets its products to households, small- to medium-sized businesses and enterprises directly as well as via online distribution, consumer-electronics and office-supply retailers, software partners and major technology vendors. HP also has services and consulting business around its products and partner products. (Wikipedia source). HP EliteBook 2530p: 12.1″ ultraportable. HP EliteBook 2730p: 12.1″ Tablet PC. HP EliteBook 6930p: 14.1″ mainstream. HP EliteBook 8530p: 15.4″ mainstream. HP EliteBook 8530w: 15.4″ mobile workstation. HP EliteBook 8730w: 17.0″ mobile workstation. HP EliteBook 2540p: 12.1″ ultraportable. HP EliteBook 2740p: 12.1″ Tablet PC. HP EliteBook 8440p: 14.0″ mainstream. HP EliteBook 8440w: 14.0″ mobile workstation. HP EliteBook 8540p: 15.6″ mainstream. HP EliteBook 8540w: 15.6″ mobile workstation. HP EliteBook 8740w: 17.0″ mobile workstation. HP EliteBook 2560p: 12.5″ ultraportable. HP EliteBook 2760p: 12.1″ Tablet PC. HP EliteBook 8460p: 14.0″ mainstream. HP EliteBook 8460w: 14.0″ mobile workstation. HP EliteBook 8560p: 15.6″ mainstream. HP EliteBook 8560w: 15.6″ mobile workstation. HP EliteBook 8760w: 17.3″ mobile workstation. HP EliteBook Revolve 810: 11.6″ Tablet PC. 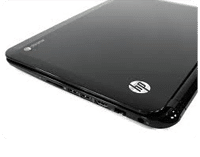 HP EliteBook 2170p: 11.6″ ultraportable. HP EliteBook 2570p: 12.5″ ultraportable. HP EliteBook 8470p: 14.0″ mainstream. HP EliteBook 8470w: 14.0″ mobile workstation. HP EliteBook 9470m: 14.0″ ultrabook. HP EliteBook 8570p: 15.6″ mainstream. HP EliteBook 8570w: 15.6″ mobile workstation. HP EliteBook 8770w: 17.3″ mobile workstation. HP OmniBook was a range of laptop personal computers created by Hewlett Packard. HP OmniBook 430 Notebook PC. HP OmniBook 300 Notebook PC. HP OmniBook 425 Notebook PC. HP OmniBook 500 Notebook PC. HP OmniBook 510 Notebook PC. HP OmniBook 530 Notebook PC. HP OmniBook 600C Notebook PC. HP OmniBook 600CT Notebook PC. HP OmniBook 800 Notebook PC. HP OmniBook 900 Notebook PC. HP OmniBook 900B Notebook PC. HP OmniBook 2000 Notebook PC. HP OmniBook 2100 Notebook PC. HP OmniBook 3000 Notebook PC. HP OmniBook 3100 Notebook PC. HP OmniBook 4000 Notebook PC. HP OmniBook 4100 Notebook PC. HP OmniBook 4150 Notebook PC. HP OmniBook 4150B Notebook PC. HP OmniBook 5000 Notebook PC. HP OmniBook 5500 Notebook PC. HP OmniBook 5700 Notebook PC. HP OmniBook 6000 Notebook PC. HP OmniBook 6100 Notebook PC. HP OmniBook 6200 F Docking Tray. HP OmniBook 7100 Notebook PC. HP OmniBook 7150 Notebook PC. HP OmniBook Sojourn Notebook PC. HP OmniBook vt6200 Notebook PC. HP OmniBook XE-DA Notebook PC. HP OmniBook XE2-DB Notebook PC. HP OmniBook xe2-dc Notebook PC. HP OmniBook XE2-DD Notebook PC. HP OmniBook XE2-DE Notebook PC. HP OmniBook XE2-DI Notebook PC. HP OmniBook xe3-gc Notebook PC. HP OmniBook xe3-gd Notebook PC. HP OmniBook xe3-ge Notebook PC. HP OmniBook xe3-gf Notebook PC. HP OmniBook xe3L-gf Notebook PC. HP OmniBook xe4100, Notebook PC. HP OmniBook xe4400 Notebook PC. HP OmniBook xe4500 Notebook PC. HP OmniBook xt1000-ib Notebook PC. HP OmniBook xt1000s-ib Notebook PC. HP OmniBook xt1500-ic Notebook PC. HP OmniBook xt1500-id Notebook PC. HP OmniBook xt6050 Notebook PC. HP OmniBook xt6200 Notebook PC. HP Pavilion Media Center TV m7300e PC. HP Pavilion Media Center TV m7300y PC. HP Pavilion Media Center TV m7360y PC. HP Pavilion Media Center TV m7350n PC. HP Pavilion Media Center TV m7360n PC. HP Pavilion Media Center TV m7470n PC. HP Pavilion Media Center TV m7480n PC. HP Pavilion Media Center TV m7490n PC. HP Pavilion Media Center TV m7500 PC . HP Pavilion Media Center TV m7560n PC. HP Pavilion Media Center TV m7600 PC. HP Pavilion Media Center TVm7645 PC. HP Pavilion Media Center TVm7690e PC. HP Pavilion Media Center TV m7690y PC. HP Pavilion Media Center TV m8070a PC. HP TouchSmart Elite 7320 PC. HP TouchSmart Elite 9300 PC.